Biked downtown & back for chiro & massage therapy today, which is a 20-minute ride each way, with a short stop for groceries on the way home. Just carrying the 4L milk jug & 4L icecream bucket around should count for some weight lifting too. 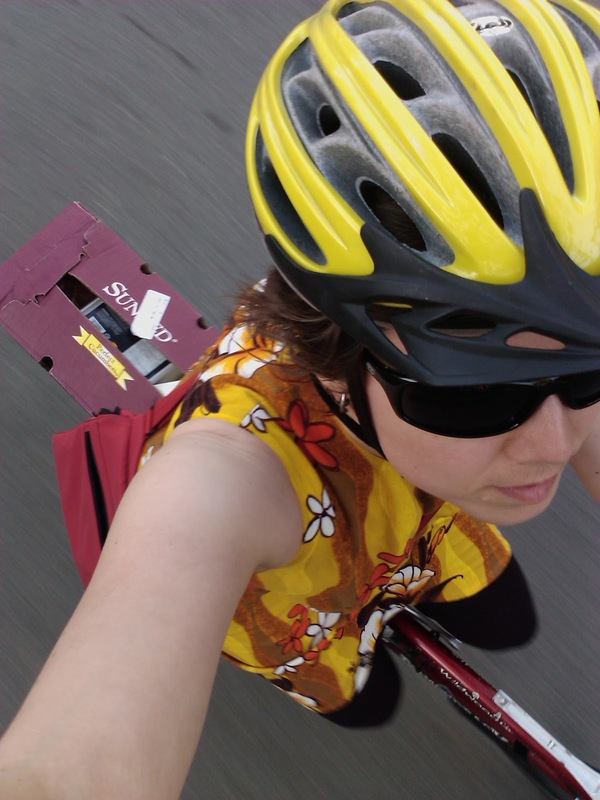 ;) Also very proud of how I (securely) strapped a grocery store box onto my bike with one bungee cord. No plastic bags were harmed in the making of this grocery trip. Weekly total so far: 80 minutes in two days! Woot!